Highlands and Islands Music and Islands Festival Civic Reception with Len Scoullar. Tickets for the Highlands and Islands Music and Dance Festival in Oban, taking place May 3-5, are now on sale. This year the festival celebrates its 36th anniversary, which was marked by a civic reception hosted by Argyll and Bute Council Provost Len Scoullar in the Regent Hotel on Monday. 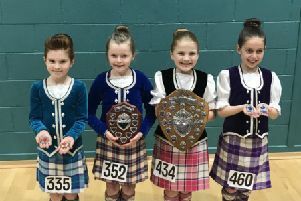 Last weekend 70 Highland dancers attended the pre-premier event, held to ease entry numbers for the Highland dancing at the bank holiday festival. Marion MacCormick from Highlands and Islands Music and Dance Festival, said: “This year the committee of volunteers is really pleased that the performer numbers continue to grow in all categories from woodwind and brass to fiddlers, pipers, pianists, accordion and clarsach players. 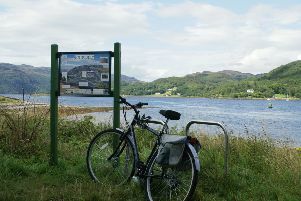 “The festival is supported by many organisations and we will receive a grant from Argyll and Bute Council of £5,000 to help with running costs for the venues, judges and adjudicators. The Regent Hotel too, has stepped in to help support with accommodation which is always difficult with large numbers and demand high. “Again this year we have performers from all over Scotland, and two female pipers from as far as New Zealand and Canada, so word does get around!